Jim Croce is a timeless songwriter whose inspiration still touches me when I hear his songs. With the Christmas time and lyric in mind, here is my 12-string, unplugged acoustic guitar version of "Photographs and Memories". Happy Holidays everyone! Did you know that the song "jingle Bells" has four verses? I doubt it unless you are an experience caroler. Still, I had a blast recording the song and learning 3 of the 4 verses, and I thought it funny that verses three and four start the same. This song has held up for over 160 years, so there is definitely something enjoyable about this Christmas song! Merry Christmas and Happy Holidays everyone! Recorded with an Epiphone 12-string 212 Guitar, and a Taylor 210 CE. Produced live in studio. Enjoy my free weekly music by subscribing now! Music in this channel is written, recorded, and produced by Danny Hauger. I think I have written a lot of coming of age songs, but never about advanced age, and probably for good reason - the lack of experience. Something in a simple guitar progression and haunting slide guitar take brought me to a vision of a much older time in life and the words wrote themselves in less than an hour. I definitely had not broached the subject of dying before, and strangely it came easily. Its a departure from my normal themes. If its a bit dark, I apologize, however, it sounds like a happy ending of sorts is in the works for the protagonist of this short musical story. Watch the music video to "Aging" on YouTube. Breakfast is not as sweet as it was. The sun will come, the sun will go. The mirror says, "face me"
I thought there always will be more time. But now the hand I hold's my own. Soon judgment will be told. Who would have cared now? Now I'm wondering where I am. The whole acoustic guitar family got in on this one. I featured rhythm guitar splits to the stereo channels with a Taylor 210 CE Deluxe, the other channel being an Epiphone 12 string acoustic guitar. There is an enhancement, or lead guitar, also played by me with the Taylor, and a Rogue Lap Steel Guitar for accents and leads. These instruments gave new life to an older one of my songs, "Losing Sleep", and frankly, one of my favorites to play. Its a treasure to me and will always be. I hope you enjoy, share, and download it - and subscribe here and on YouTube! I've really spread the genre spectrum this year a lot further at Danny Hauger Podcasts. I reached my goal of releasing a free song each week! Thanks for your continued support here and on my YouTube Channel: Danny Hauger - this is the 60th free song of 2017, and it makes me proud and something to feel happy about in 2017. I enjoyed this year musically and this acoustic jazz attempt really hit home for me as well in the fun category. I hope you enjoy downloading and sharing it! An early acoustic Christmas present from Danny Hauger Podcasts. Its the first jazz style song I can remember this year, and I enjoyed each chord strike. I hope you will too. It had its troubles too. Just want to hang out with you. Lets skate over her house. And lets grab some food, I want to talk to her. I want to tell you, this is how I feel. I want to tell you, this is me being real. Its like my mind has been taken by thunder. Its finny to me how my students have clinged to the song, "Careless in My Sleep", or they secretly make fun of me for it. Whatever the motive is, it makes me think about this song of mine quite a lot. Its a song with a lot of personal meaning and expression already, and when I went to find its acoustic unplugged version on my computer, no results came up. I needed to re-explore the song and lay it out without drums. I wanted to voice the depth and reverberence of the song's meaning in a new version so I brought some new strings out to my lap steel guitar and the very first note I recorded was the first note you hear in this new unplugged version. From there, everything was just singing through and it was really enjoyable not just to play, but also to mix. This was the most time I spent mixing a song in a while, and I think it shines through in the mix. Its a free mp3 download of one of my personal favorites, and I hope you will enjoy it! I also recorded a four-track video which you can watch on my YouTube Channel: Danny Hauger. Please download, share, like, and subscribe!! A live, acoustic, studio version of Danny Hauger's new song "Challenges". This song is recorded on a Seagull Folk Series acoustic electric guitar, and features a two-angled recording with a little extra shaker track played by my baby girl Dana! 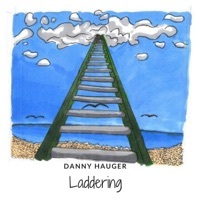 You can support me by: *Buying Danny Hauger music on iTunes and Amazon *Streaming Danny Hauger on Spotify *Subscribing Danny Hauger Podcasts on iTunes or download weekly free songs from Danny Hauger: http://dannyhauger.podbean.com/ *Share or buy my Teachers Pay Teachers resources: https://www.teacherspayteachers.com/S... *Download my educational shows from the Hauger History Podcast at haugerhistory.podbean.com *Support this free podcast and get in touch at www.dannyhauger.com *Twitter: @DannyHauger and @DHXmusic *Subscribe to this YouTube Channel! Mixed a song in Acid Music Studio for the first time in about a decade. I'm impressed with the fluidity of editing but its going ot be quite a learning curve getting all of the shortcuts, movements, and audio processing features down to a science. A good challenge for the holiday season of creative production. The result today is the first new demo, and the first fast paced release here on the podcast in quite a while. So rockers rejoice today! I led this track off with my 5 string bass and powered through a simple slide and hammer on to create the momentum for this song, "Challenges". As always its free to download! Share, subscribe and support!